This article is a factual breakdown of how the new NCDC compares with the NAHL and Canadian Junior A or Tier II hockey. This is a non biased factual view of how these teams are “funded”. The reason this article is being written is because some people are attempting to mislead people into believing the NCDC division of the USPHL is doing something disingenuous in how they will fund their team operations. When in fact there is nothing disingenuous about what they are doing. To the contrary, the NCDC/USPHL have been completely up front in how they will fund each team. Everyone at the USA Hockey Winter Meetings knew the NCDC plan, and one person took it upon himself to distribute that plan on a piece of paper to everyone at a meeting. It wasn’t some “scooped” information or anything that everyone didn’t already know. So can we all just stop with the completely biased and misleading statements and look at the real facts? The NCDC will charge a player registration fee. The fee will be somewhere in the vicinity of $500 for the season. 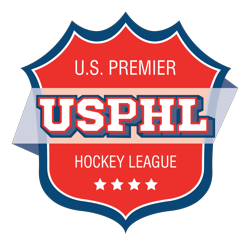 The NAHL does not charge a player registration fee, but you are required to register with USA Hockey. Junior hockey in Canada charges $750 minimum for league and Hockey Canada registration. Continuing with the facts, the NAHL charges “League Fee’s” in the vicinity of $30,000 per team. The NCDC will charge “League Fee’s” lower than $20,000 per team. Some Canadian Junior Hockey “League Fee’s” are in the vicinity of $60,000 per team. The average player wanting to play in the NAHL last season spent $6500 in the summer attending “team camps”. That includes “pre draft”, “open” and “main” camp payments. It includes travel costs, hotel costs, meal costs and various other expenses. That is the average, and far from the maximum amount spent by some players. The Death Pool – Player And Parent Poll – How Much Money Did You Waste On Team Tryout Camps? The average player going through the USPHL summer showcase and team development system spent less than $2,000 in the summer earning his position on the team. The average American player attempting to play in a Canadian Junior League spent and average of $4,000 attending camps. The average NAHL tryout camp contained 120 players who paid an average of $300 to attend. The average NAHL team held three such camps producing approximately $100,000 in revenue. We do not know how many players will be at the average NCDC tryout camp or how much they will charge. The average Canadian Junior Hockey camp had 60 players paying an average of $150 to attend. The average parent traveling to watch their child play an NAHL game spends $800 each weekend they attend games including travel, hotel and meals. The average parent going to watch their child play in the USPHL spends $200 each weekend on gas and thruway tolls. The average American parent traveling to watch their child play in Canadian Junior Hockey spends $1100 each weekend they attend games including travel, hotel and meals. NCDC organizations will have lower level teams where each player will pay an additional “tax” to help fund the NCDC. NAHL organizations, many of them, already have lower level teams who help fund the NAHL teams. 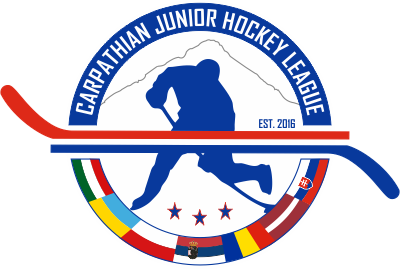 They are called NA3HL, NAPHL, and any other number of organizations. Canadian Junior Hockey with the exception of the CCHL has not followed this funding pattern and it is part of the reason why teams are struggling financially in many cities. When you look at the facts. Not someone else’s propaganda, or the traditions in which leagues are operated. You can then truly decide which operations cost less for the parent and player. Every league and every opportunity has a cost associated to it. Anyone claiming any different is a liar. If you are a player from New York, and you play on a team in Minnesota, you will spend approximately $6500 on camps, $3000 on billet fee’s, and $800 each time you go home or one of your parents comes to watch you play. The math is pretty simple, almost remedial for those who never went to college. Lets not even contemplate the stress of leaving home at a young age compared to the relative comfort of living at home with your family. Or the additional expenses involved in going to school when you have to leave home. Or the emotional toll that takes upon the family. The facts are that the NCDC funding plan is not the “traditional” plan used by the NAHL or the progressing plan being used in Canada. It is a different plan. The facts are that “traditionally” funded teams are losing money left and right. Owners are having to write large checks to cover losses. “Traditionally” funded teams are folding, being sold and relocated every year. Does that look like a business plan that is successful? Maybe, just maybe, the business model of “traditional” funding for Tier II hockey that was developed in the 1950’s will not work nearly 70 years later. Would you use sticks, skates, or other equipment from the 1950’s today? When sticks were $3, shoulder pads were $6, ice cost $20 per game, and gas was 20 cents a gallon. Wealthy business people could afford to invest money in a hobby for the pleasure of giving back to the community and the ego stroke of saying they owned a team. People didn’t mind losing a little money back then. What is great about what is happening with the NCDC, NAHL and Canadian Junior Hockey is that now parents and players have more choice. Now, we will within a few short years see which business model is actually more stable and sustainable. The problem with all of this is that now, the NCDC will not have to play by the same USA Hockey rules when it comes to camps, recruiting, or anything else. Now, we wont be able to see if the NCDC and the NAHL are equals because they wont be able to play each other. Its a great time to be a player. You have choices in 2017 that you did not have in 2016. In the end, the choice is yours.